So, we at Mersey Celt Punks have been waiting for an album from Sinful Maggie for what feels like an eternity even if they set out to be a band with an accordion that does not play folk, gypsy or celtic punk. That aside good music is good music so of course we are interested. Formed in 2014 have been gradually building a fan base this 4-piece from Dorset recently seem to be getting noticed on a wider scale and this year will be playing Fuelled By Cider’s Cursus Festival and Boomtown Fair as well as shows with The Rumjacks and Matilda’s Scoundrels. March 2018 saw the release of there long awaited self-titled album with is 11 tracks of fast fun punk rock with accordion (not folk punk). 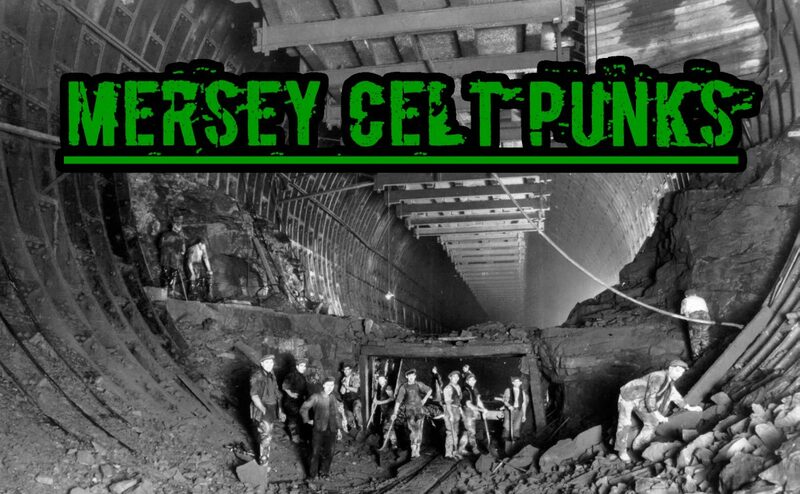 Not to say fans of folk punk wont enjoy it just that its much more punk orientated think Street Dogs instead of Dropkick Murphy and you will be heading in the right area. The overall sound is very similar to Rancid around the time of “Lets Go!” (1994) with element of punk, ska and rock blended together to give an incredibly unique sound that will allow you to easily identify Sinful Maggie. If Sinful Maggie are following the style of Rancid then the follow up to “Lets Go!” is my favourite album of all time “…and out come the wolves” (1995) so no pressure there then. So, there is quite a clear Rancid influence, but they are one of the biggest punk bands ever its hard not to be. It’s a whole different thing to be able to pull of a similar sound then make it your own. Well that is exactly what Sinful Maggie have done. The sound of the accordion will always make me want to grab a cutlass and head for the seas. However, this is not your cliché pirate punk this is more like what punk would sound like if pirates invented it. “Take Out the Sun” and “Rock and Roll Prowess” are the perfect opening kicking in full speed and showing off what each of the band bring individually to make up Sinful Maggie. Well I was not expecting anything with a psychobilly feel to it but listening to “Long Walk Home” and “Zyklon B.” All they are missing is the slap on a double bass and they could have been on a Creepshow Album. The album also goes a bit of ska, another good reason to pick it up. (sorry) “Mr Know It All” and “Everyone I Need” are a great change from the general pace of the album sounding like a cross between Operation Ivy and The Toasters. With fast upstrokes and the accordion taking the place of a what would normally be an organ in a lot of ska bands making it a wonderfully unique change. Hopefully Vic Ruggerio (The Slackers) will try it out one day. My favourite track for this was a tough one because of the variety in musical styles though out the album but after a while I have settled on “Rebel Without a Cause”. It starts with a bass line that Matt Freeman would be proud of then kicks in full force and throws an undeniable passion direct to your ears. The album finishes with “Nature of Man” a full on punk rock assault against humanity. Changing pace multiple times in a nofx-esque manner, live I am sure ready to give your final reserves of energy to the band and a fantastic way to end, no fading out all about going out screaming. Sinful Maggie have so much variety within their music, crossing multiple genres and still managing to maintain a strong punk core. If you like punk rock in anyway there is something on this album for you. A serious must buy!